Teddi Mervis lost her fight with cancer when she was 12 years old. Beginning with the diagnosis of her brain tumor, the story tells of her three-year battle for life--a struggle she eventually lost. Although Teddi passed away, her memory inspired those who had helped her to deal with her suffering to band together to aid other children who are facing cancer. 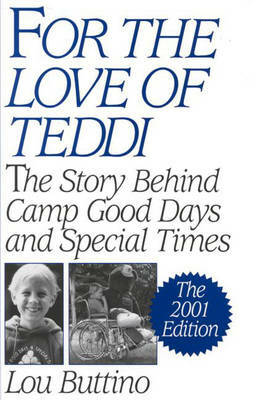 These people and thousands of others inspired by Teddi's story--from construction workers to college students to bank presidents--helped form an organization whose primary purpose is to make the lives of children as happy and rewarding as possible. The organization, Camp Good Days and Special Times, Inc., has become one of the largest and most successful organizations of its kind in the world. It is credited with breaking down the barriers for children with cancer and creating pioneering new programs. The 2001 Edition carries the story forward from 1990 with new photographs and an afterword. This book serves to teach and guide those who must cope with the devastating ordeal of childhood cancer.